Poor weather is a huge problem for many youth baseball and softball coaches prior to the start of the season. In many urban areas, limited space makes it hard to get field time to hold a practice. These issues are real. The start date for the season is real as well. This article helps coaches step outside the box and establish a new mindset towards practices. You will find links to drills and videos that will help you to run great practices regardless of any challenging circumstances you are facing. The most important thing to recognize, in order to get more practices in is that a baseball field is not required to hold a Championship Quality practice. Any flat space works ie a patch of grass using throw down bases (or any marker to represent a base) and using cones to mark out drills. #1 - A baseball field is not needed - example: when Wichita State University resurrected their program in the late 1970's. They had no baseball field. The team practiced in a grass field. Five years later they were in the National Championship game. After a decade of existence they won the National Championship. Watch from 1:00 - 1:40 of footage of the team practicing ...the first minute, leading in, is pretty inspiring; it shows highlights of their National Championship win. #2 - When its wet or drizzling, practices can be held on a concrete school yard....the Baseball Positive website has dozens of drills that don't require a grass or dirt surface. Many neighborhoods (urban and suburban) have an elementary school with a covered basketball court (less so in the sunbelt states). This is a place to hold a practice if it’s raining hard. When I coached my son's eight-year-old team, I told the parents we would never cancel a practice. We'd either be at the park (when it wasn't too wet) or at the elementary school. The following drills and activities don’t cover it all. They do address the core fundamentals of the game and will give your kids what they need to develop their skills and be competitive on the field. The Baseball Positive website has a lot more drills, if you want more. Many coaches feel that their kids need to feel a real ball coming off their bat. More important is the kids get as many swings as possible. When using wiffle balls, multiple kids can be hitting the ball at the same time. We get a lot more swings in a shorter period of time. This is a Major League Skill. Big League players throw the ball underhand many times each game….when throwing short distances. The game played on the small diamond has many more instances requiring short distance throws. And many kids don’t realize that tossing the ball underhand is even an option. Reps, reps, reps. Accomplished fielders get massive reps. This fast paced drill gets kids many reps in a short period of time. We don’t need to limit ourselves to using just the three bases laid out on the infield for running our drills. Throw down a couple of markers to represent first base. Now we can have three groups of kids working at the same time, significantly increasing our reps….and greatly eliminating down time between reps.
Reps, reps, reps. There it is again. More important than learning to judge fly balls is the need to catch a lot of fly balls. Pretty standard concept. Set up three stations in your infield (this infield can be in a cow pasture in a rural area, or a concrete school yard in an urban area --if a ball field is not readily available-- using throw down bases) and get the kids moving. The sample diagrams get your brain moving. From these examples you can come up with additional set ups addressing your team’s needs. Let’s step outside the box of how we perceive ‘warm up’ at the beginning of practice. In this activity we give all our kids pitching reps, then a dynamic throwing session as a position player, then wrap up with a skill activity. This 15-minute session, once a team has gone through it 4-5 times, gets a ton done in a short time. * When using wiffle balls, multiple kids can bat at the same time, which results in getting more work in, in a shorter period of time. The structure of a complete practice (as well as a couple dozen practice plans) is found HERE. The above plan is a modified version of full practice. It is very important to recognize that kids are not going to Get It right away. Each drill or activity usually takes three sessions before it starts to run smoothly. We get a, “Whoa, what is going on?”, response from our kids and a lot of chaos. OK, that is what is going to happen, so we don’t get overly concerned. Kids perspective, “Oh this is that thing we did the other day”. They now know what to expect, but they still need time to grasp the flow of the activity. Now the kids are familiar with the activity and have had some repetitions. The third time we run an activity is when it starts looking something like we expected. Moving forward - this activity can get started quickly; the kids know what is coming up. The activity flows efficiently; the kids know the routine. But I don’t have time to do all these drills over and over. True, IF we are determined to run zillions of different drills and activities. However, if we pick out 7-8 drills/activities to repeat throughout the season, the coaches and players get really good at each activity and we become a lot more productive. But the kids get board doing the same stuff over and over. I’ll suggest that when activities have a good flow, the kids are constantly in motion and see themselves getting better, bordom is not an issue. I was fortunate to assist at Wichita State University in the mid-90’s during its heyday of multiple College World Series appearances. The thing that struck me most about that experience was how plain vanilla the practices were. All the players knew the structure of the activities and knew what was expected. The amount of quality work that was accomplished each day was beyond anything I had experienced in all my years as a player. Working with kids is challenging enough. When we limit and simplify our practice activities, we can be better coaches, our kids are better able to develop their skills, and everyone enjoys their time on the field much, much more. Is your ballplayer going to maximize their potential as a batter this season? What can you do to help? What does it take to get ready? Take them to the batting cages and crank up the pitching machine or get out to the park and throw as many pitches as your arm can handle. This is the way to get a player ready to be a hitter, as most people believe…pitch, pitch, pitch, swing, swing, swing. The fact is however, swinging at live pitches is the last step in getting a player ready for the season. Developing the swing and/or getting the swing back in shape is a step-by-step process that begins with drills to develop muscle memory and working off a batting tee, working up to taking swings against live pitches. 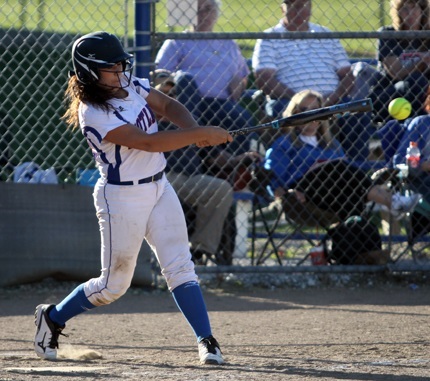 The information in this article, the first in a three-part series, guides a beginner or novice player in their learning and preparation, while it serves a fundamentals checklist for a more experienced batter. 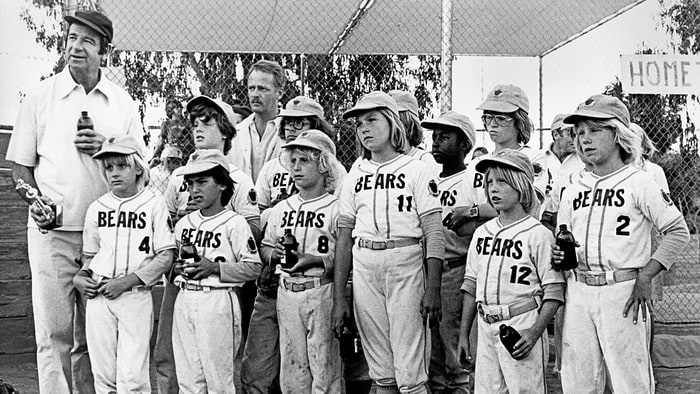 Kids, of course, want to immediately start whacking away at live pitches. Swinging at live pitches is the ‘Icing on the Cake’ of the process. The primary function of live swings is for a batter to get their timing down. High School, College and Pro batters put in a lot of time working on their swing using a batting tee (it’s a good idea that youth players do the same). 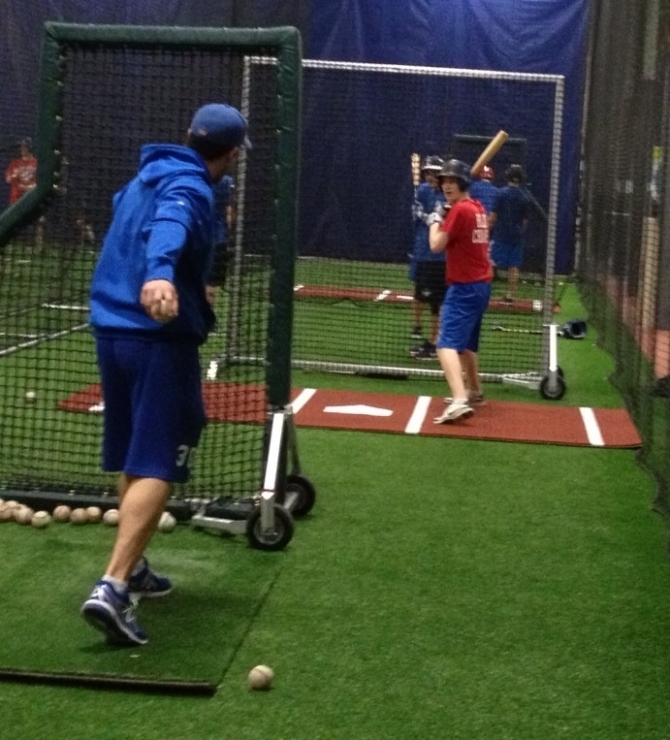 The tee is a life-long training tool for baseball and softball players. Show your young batter 30-40 seconds of this video featuring former MVP Josh Hamilton working with a tee. This is an important education for kids; to understand that the tee is not just for Tee-Ball, but is, in-fact, a training tool used throughout one’s playing career. Make one aspect of the swing the focus for a series of 8-10 swings. Take a brief rest break (spend 20-30 seconds picking up balls), then switch to a different focus point. The five points below establish the three foundations needed to move to more advanced drill work: Using the Legs, Head Control and Balance. These are covered in detail in the following sections of the article. Feet in Place - at the conclusion of the swing (always full speed) ...are feet still in place? or did the batter allow the momentum of the swing force them to move one or both feet to a different spot than where they were during the swing? Centered and Tall - complete the swing (always full speed), then confirm the head, torso and hips are straight up and down (tall) and centered between the feet. The first two points are physical actions the batter addressing in their swing. They are pretty much the same. The difference is, #1 is a general focus of the entire lower half; #2 is a specific action that creates the leg/hip turn. The other three are ‘checkpoints’ after the swing. These three points are characteristic of any fundamentally sound swing. Many swings made by young players are missing one or more of these three elements. The simple act of correcting these points can significantly improve a batter’s swing (over the course of a few workouts) with no technical instruction given. At the completion of each swing, the batter checks to see if they executed the focus point. If not, they make a more determined effort in their next swing. To accomplish any of these points, the batter is forced to execute a better swing. The adjustments are not made because of a deep understanding of the swing or a conscious technical change. By consciously working to achieve one of this points at the conclusion of the swing, the body will naturally produce a better swing. In some cases the swing will improve after just a few repetitions. In other cases, improvement will be seen after 2-3 workouts. The batter and instructor evaluate only the quality of achieving the objective, the single focus point. The result of how well the ball was hit (if it is hit at all) is not something we evaluate at this point. Do not discuss other flaws in the swing; likely there will be many. Remember, developing the swing (or shaking off the rust) is a step-by-step process. The adjustments are not based on instruction or thinking. The batter simply attempts to fulfill the single objective. The value in this is the batter is improving their swing without thinking through the swing based on the verbal instruction from the coach/adult.....which often leads to confusion and/or frustration. This 50-swing workout is plenty for one day. After the tee work, reward them with live pitches, but I suggest we make this part of the activity ‘fun time’ with no instruction. If our player struggles during the live session, that sets us up for selling the value of the tee work, “Hey, its early, we’ll keep working on the tee and soon you’ll be hitting the ball better”. These two aspects of the batting stance are misunderstood and often viewed as ‘fixes’ for a batter who is struggling. “Keep Your Back Elbow Up” is often heard from helpful parents and coaches. Elbow placement in the stance varies from batter to batter. There is no magic in having the back elbow up in the stance. The idea of a batter wanting to keep their ‘elbow up’ originates, as I understand, from the fact that this position makes it easier for a young child to support the weight of the bat when holding it prior to starting the swing. and front toss as well) is the "Switch Heels" action. Place hands on hips (all muscles in the chest, neck shoulders and arms remain relaxed during this drill). 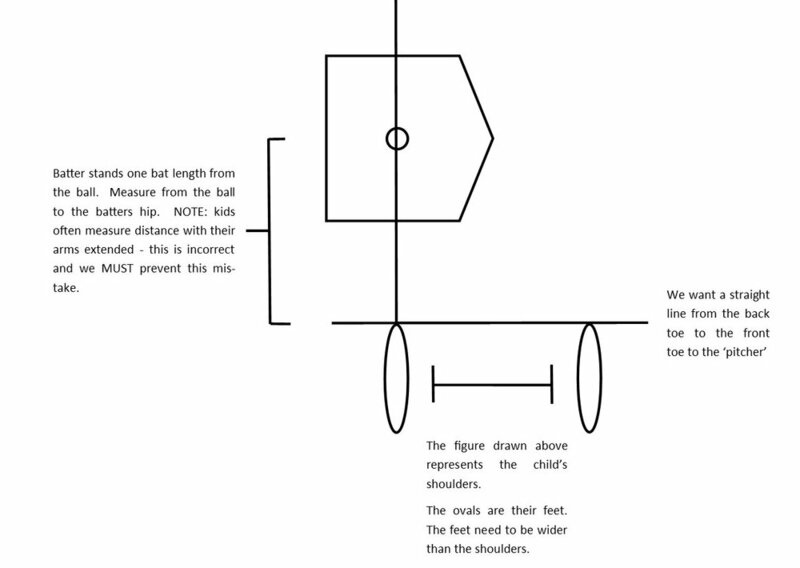 Have an object, which is even with the batters front foot and in the center of the strike zone, for the batter to look at throughout the action (keeping the head in place during the drill is very important, though difficult at first for most kids). The batter slightly turns their front knee back, resulting in their front heel coming off the ground. 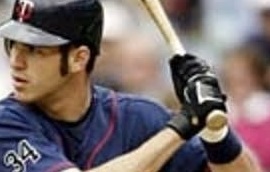 (Many batters have some inward turn of the upper body as a result of this action). Head remains fixed on the object referred to in #3.
swing action. This drill is also done prior to a batting practice session..
Take a set of swings with this action as the focus point. Watch these videos of Albert Pujols (:00, :40, 1:35) and Mike Zunino (:03-0:18, 0:31) crushing Home Runs. The action of "Switching Heels" is very clear. Head facing the ball on the tee prior to the swing. Complete swing (always full speed) while keeping head looking at contact point (top of the tee) after the ball has been hit. Movement of the head is a common flaw for kids when swinging the bat. A player can get top notch instruction and have a great mechanics, but if their head is moving the value of everything else is out the window. The body follows the head, when the head moves it throws off the whole swing. Mastering the ability of power generation and completing a full swing, while at the same time keeping the 'Head in Place' takes some time, but a youth baseball player or softball player can accomplish this...and many can achieve a good level of mastery in a couple of weeks. 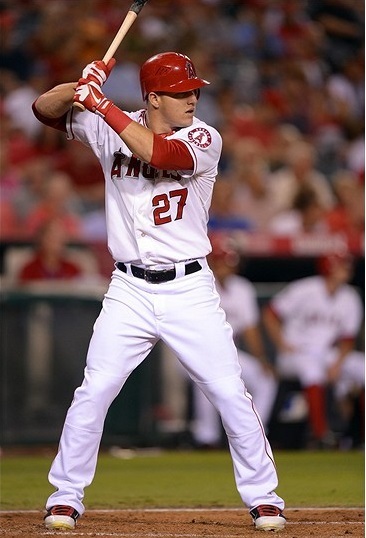 When “Head in Place” is the focus during Tee Work, the batter has their Head Down, facing the ball, in their stance. After hitting the ball the batter wants to then be looking at the top of the tee. Its simple for the batter to check if their head moved …either they are looking at the top of the Tee following their swing or they are not. When a batter feels off balance at the end of their swing, we ask them to keep their “Feet in Place” and make every effort to re-balance themselves without repositioning their feet. When this adjustment is made it sends a message to the muscles that balance is the goal. Through repetition, the muscles learn to be more balanced and effective during the swing. …will find it difficult to have a poor swing. 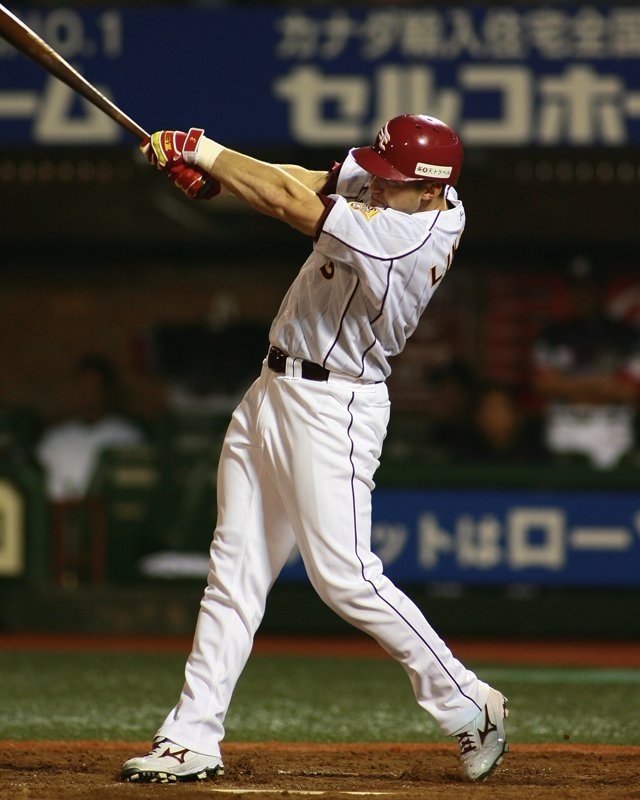 When in their stance, a good batter’s head is pretty much centered between their feet. At the end of their swing, their head is still centered between their feet. 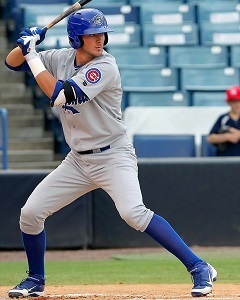 In addition to their head, a batter’s torso is also centered, while their posture is ‘tall’ (head, torso and hips aligned, vertically, with the back knee, at the conclusion of their swing. Many young batters are bent over at the waist during, and following, their swing. Others allow their torso to ‘sway’ forward during the swing. The torso of accomplished batters is centered, straight and tall at the conclusion of their swing (some stronger batters may have slight tilt back at the conclusion of their swing). The path of hands is added to our workouts once the batter has gained some level of proficiency in using their legs and establishes some consistency in the focus points mentioned in the article. Since there is more to learn and practice, the swing will have some flaws. In the next two articles in this series hand path is covered along with utilizing Soft Toss, Front Toss and Swings Against Live Pitching. How can we improve out players’ fly ball catching skills in a short amount of time? 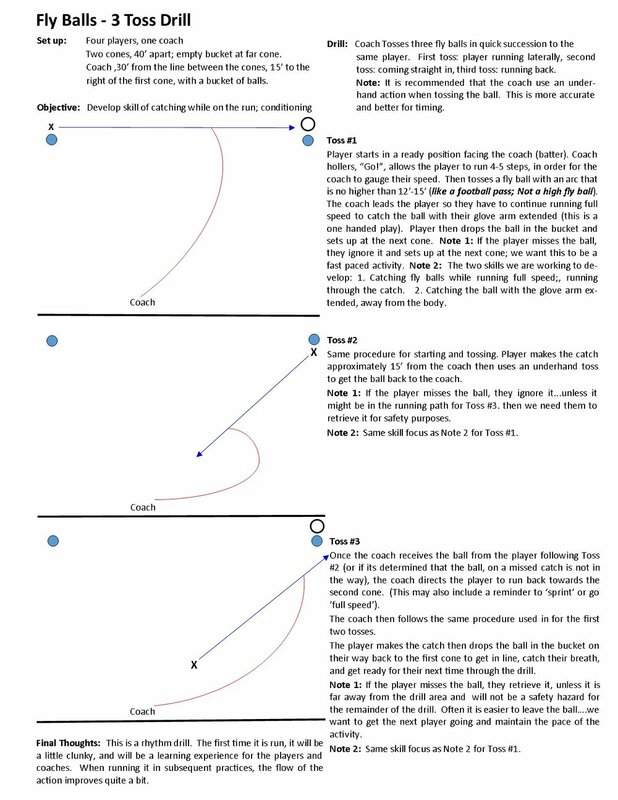 The ‘Three Toss Fly Ball Drill’ is part of the solution. It is great for infielders as well as outfielders; is challenging and fun. This is a drill that is run at a lightning fast pace. The player is moving at full speed throughout. 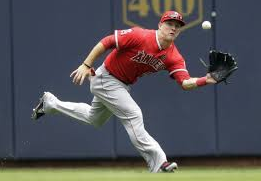 The pace, coupled with the changes of direction, conditions, builds agility, and develops a variety of catching skills. It applicable to any age ...including teens and high school players. Ideally this is run with no more than 3 or 4 players. Once each player has been through the drill, the time spent waiting for their next turn is spent catching their breath. If we start with a bucket of 30 balls, depending on the age and skill level of the players, we can get through 15-20 reps, before having to take a break and pick up the balls. The best situation for using this drill is as a station in a skills rotation. During a five-minute stop at this station each player will get a chance to make a play on 20-30 fly balls. Coach makes low arcing throws – this is Not a drill to train kids to judge high fly balls; we are working on the skill of catching a ball while on the run. Coach is a quarterback throwing passes to a receiver. If there is a left-handed player in the group, and you have younger kids (nine and under), run the left-handed player in the opposite direction for the first toss. Otherwise they are making a backhanded play, which is much more difficult. …this is a repetitions activity, not a teaching activity. Make a mental note of teaching points to share afterwards. The rhythm and flow of the drill, the first time it is run, will be a bit clunky – any new activity is less than perfect the first time around.